Gift cards can be exchanged for goods and services at Maldron Hotels, Clayton Hotels and selected partner hotels (The Gibson Hotel and The Belvedere Hotel). 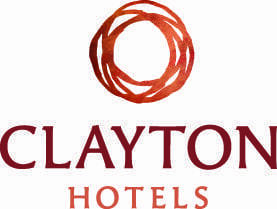 Please note a Maldron Hotels or Clayton Hotels gift card cannot be used in our other Partner Hotels. Gift voucher packages are subject to offer availability excluding event dates and Bank Holidays. All bookings are subject to availability and Maldron Hotels, Clayton Hotels, The Gibson Hotel and The Belvedere Hotel booking terms & conditions apply. Gift vouchers can be exchanged for goods and services at Maldron Hotels, Clayton Hotels and selected partner hotels (The Gibson Hotel and The Belvedere Hotel). Gift vouchers are non-transferable and can be used as part or full payment. No change will be given. Any remaining balance can be left on the voucher and spent on future purchases. Gift vouchers cannot be exchanged for cash. Gift vouchers are not a cheque guarantee, credit, debit or charge card. Gift vouchers will expire twelve months from date of purchase. Protect voucher and treat it as cash; lost, stolen or damaged vouchers will not be replaced. This package is for 1-night midweek (Sun-Thurs) Bed & Breakfast for 2 people and valid in Maldron Hotels only. Subject to offer availability, not valid over event dates. Maximum 2 people sharing. For reservations call 1850 885 885. Maldron Hotels booking terms & conditions apply. Dalata Hotel Group Plc T/A Maldron Hotels will not be held liable for vouchers which have been lost or stolen. Gift vouchers will expire 12 months from the date of purchase. Protect voucher and treat it as cash; lost, stolen or damaged vouchers will not be replaced. This package is for 1 weekend night Bed & Breakfast for 2 people sharing and valid in Maldron Hotels only. Subject to offer availability, not valid over event dates. Maximum 2 people sharing. For reservations call 1850 885 885. Maldron Hotels booking terms & conditions apply. Dalata Hotel Group Plc T/A Maldron Hotels will not be held liable for vouchers which have been lost or stolen. Gift vouchers will expire 12 months from the date of purchase. Protect voucher and treat it as cash; lost, stolen or damaged vouchers will not be replaced. This package is for 2 nights midweek Bed & Breakfast with Dinner on 1 evening for 2 people sharing and valid in Maldron Hotels only. Subject to offer availability, not valid over event dates. Maximum 2 people sharing. For reservations call 1850 885 885. Maldron Hotels booking terms & conditions apply. Dalata Hotel Group Plc T/A Maldron Hotels will not be held liable for vouchers which have been lost or stolen. Gift vouchers will expire 12 months from the date of purchase. Protect voucher and treat it as cash; lost, stolen or damaged vouchers will not be replaced. This package is for 2 weekend nights Bed & Breakfast with Dinner on 1 evening for 2 people sharing and valid in Maldron Hotels only. Subject to offer availability, not valid over event dates. Maximum 2 people sharing. For reservations call 1850 885 885. Maldron Hotels booking terms & conditions apply. Dalata Hotel Group Plc T/A Maldron Hotels will not be held liable for vouchers which have been lost or stolen. Gift vouchers will expire 12 months from the date of purchase. Protect voucher and treat it as cash; lost, stolen or damaged vouchers will not be replaced. View Maldron Hotels room reservation terms & conditions, including Make it Maldron.